A 30 minute live performance, with music, sounds, graphics and video built from fragments of everyday Rome. Performed live at Circolo Scandinavo, June 2014, and at MARTELive festival for contemporary arts, September 2014. Singing water fountains, metro tunnel choirs, glitchy trams, screaming bikes, lipstick clouds, auto-tuned hairdressers, distant cannons… The everyday sounds of Rome of 2014 becomes a musical expedition into a ficitional future Rome of 2089. A lonely vampire roams the empty streets, guarded by ghosts of gladiatrices and mutated elephants. 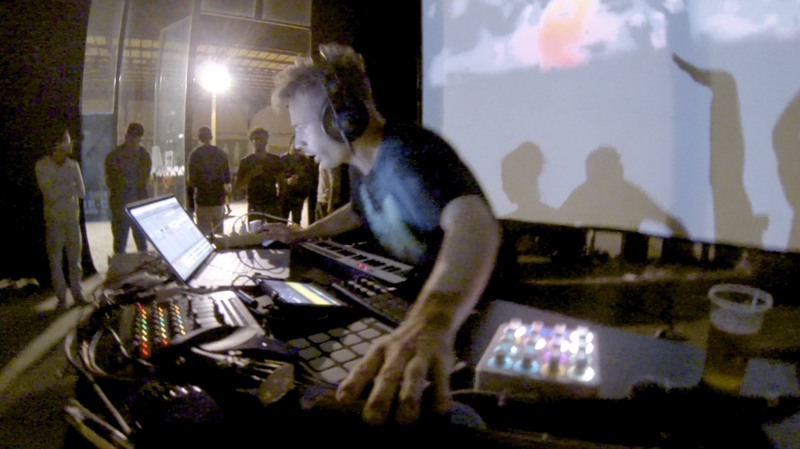 Performed live with an introductory presentation, and live video projection directly on walls. The piece was created during a month-long stay at Circolo Scandinavo. The process was documented through daily reports in the journal.